Oscar the Bear visits Kiwi. 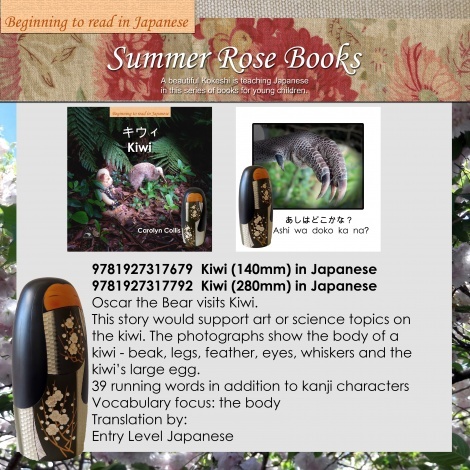 This story would support art or science topics on the kiwi written in Japanese. The photographs show the body of a kiwi - beak, legs, feather, eyes, whiskers and the kiwi's large egg. 39 running words in addition to hiragana.